A durable plastic called PET is considered a major environmental hazard because it's highly resistant to breakdown. But researchers have found a potential new match for this hardy plastic: a newly discovered microbe that is astonishingly good at eating it. 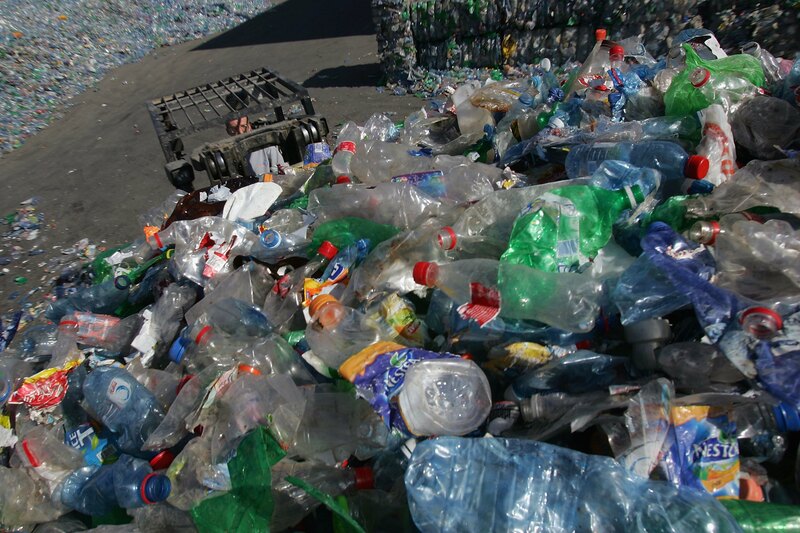 An estimated 342 million tons of plastic are produced annually worldwide, and currently, only about 14 percent is collected for recycling, according to the World Economic Forum. Previously, the only species found to break down PET were rare fungi. Now, scientists in Japan have discovered bacteria that can biodegrade this hardy plastic. "The bacterium is the first strain having a potential to degrade PET completely into carbon dioxide and water," said study co-author Kohei Oda, an applied microbiologist at the Kyoto Institute of Technology in Japan. The researchers collected 250 samples of PET debris from soil and wastewater from a plastic-bottle-recycling site. They scanned these samples for bacteria that could eat PET. The scientists identified a new species of bacteria, which they namedIdeonella sakaiensis 201-F6, that could almost completely break down a thin film of PET after six weeks at a temperature of 86 degrees Fahrenheit (30 degrees Celsius). Appendages from the cells might have secreted compounds that helped to dissolve the plastic, the researchers said. Genetic and biochemical analyses identified two key enzymes involved in the breakdown of PET. One enzyme worked with water to break down the plastic into an intermediate substance, which the other enzyme broke down into PET's basic building blocks, the scientists said. These findings could have a wide range of real-world applications, because bacteria should be easier to incorporate into devices to break down PET than fungi is. "We hope that we can develop a technology to handle such a lot of wasted PET," Oda said. In the future, the researchers would like to "improve the ability of the microorganisms to degrade," Oda said. It's not known how these enzymes evolved, Oda said, and both enzymes bear little resemblance to the enzymes most closely related to them. The scientists detailed their findings online March 10 in the journal Science.